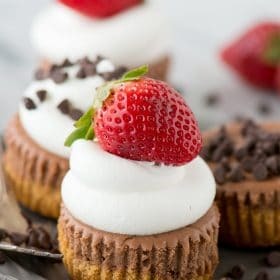 These are the BEST mini chocolate cheesecakes! 15 minutes to bake and you can add any toppings you want. Learn our tricks for making perfect chocolate cheesecakes. VIDEO RECIPE! 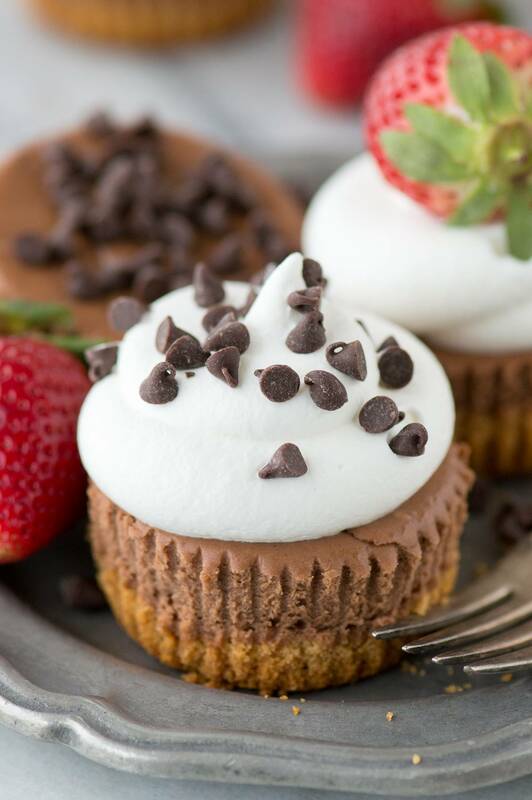 Learn how to make mini chocolate cheesecakes! Everyone needs a classic chocolate cheesecake recipe, don’t you think? 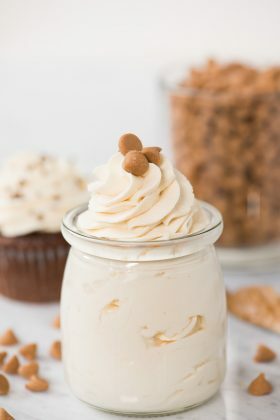 Mini cheesecakes are some of my favorite because they are less time consuming then a regular cheesecake. Plus a regular cheesecake requires a springform pan which I wouldn’t consider one of the most common kitchen items. I never owned a springform pan until 3 years after I started this blog. But I would guess that almost everyone owns a muffin pan, so it’s the perfect tool to utilize to make cheesecakes! 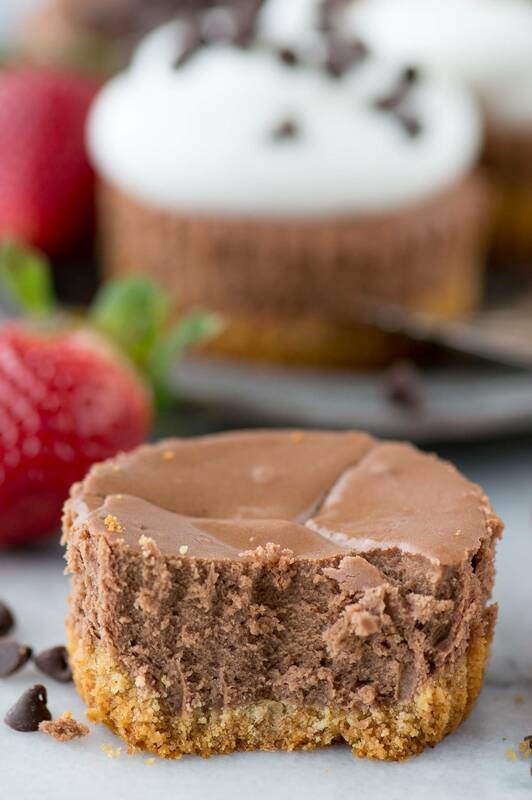 I paired these mini chocolate cheesecakes with a graham cracker crust but you could easily swap in a chocolate graham cracker crust or an oreo crust. 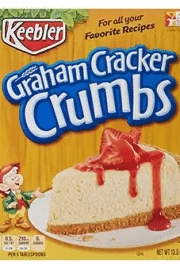 You the same amount of crumbs – 1 cup. 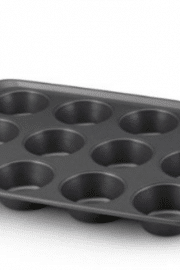 To prepare the cheesecake, line a muffin pan with muffin liners. 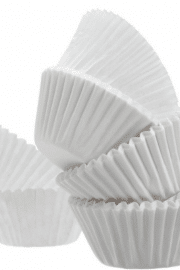 I use paper liners and have never had a problem removing them after baking. You could also use foil liners if you’d like, but it’s not necessary. Once you mix the graham cracker crumbs with the melted butter, put 1 tablespoon plus 1 teaspoon of that mixture into each muffin cup. I find that it’s easiest to use a 1/3 cup to firmly press the crumbs into the pan. You’ll need to pre-bake the crust for 5 minutes. 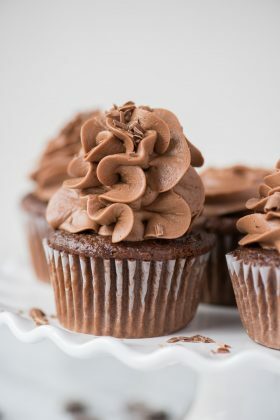 While the crust is pre-baking, follow the directions in the recipe box to make the chocolate cheesecake. 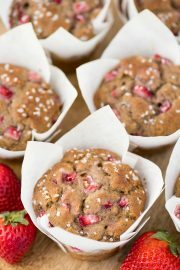 Add a little more than 2 tablespoons of cheesecake batter to each muffin cup and bake for 15-17 minutes. 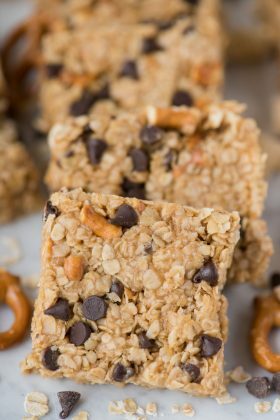 Once they come out of the oven, allow them to cool to room temperature then chill them for 2 hours (or longer – sometimes I just let them chill overnight). And I just keep the mini cheesecakes in the pan and place the whole pan in the fridge to chill. Now comes the fun part. 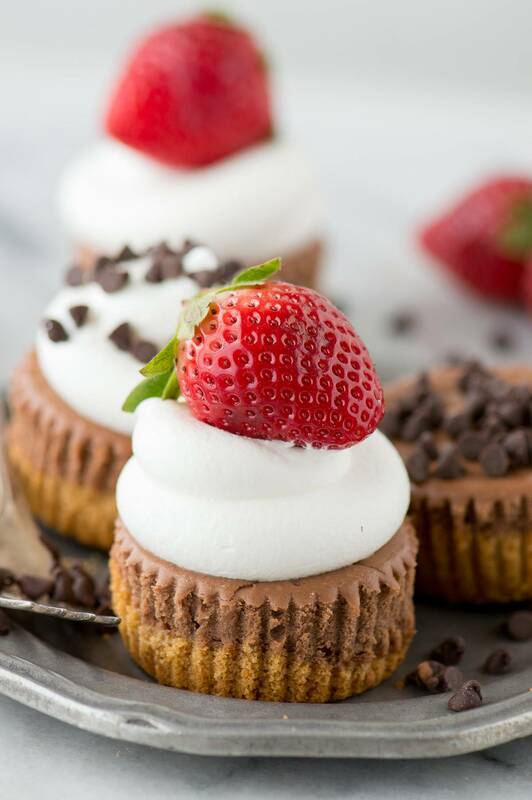 You can serve them without any additional toppings or you can add cool whip, strawberries, chocolate chips, chocolate ganache, strawberry puree, whatever you want! Any way you choose to top them I know they will be good!! 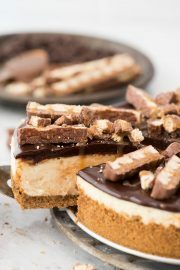 Allow the cheesecakes to cool to room temperature then place them in the fridge for at least 2 hours to chill before serving. 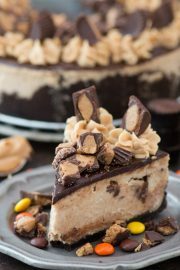 If refrigerating overnight, loosely cover the cheesecakes in plastic wrap. 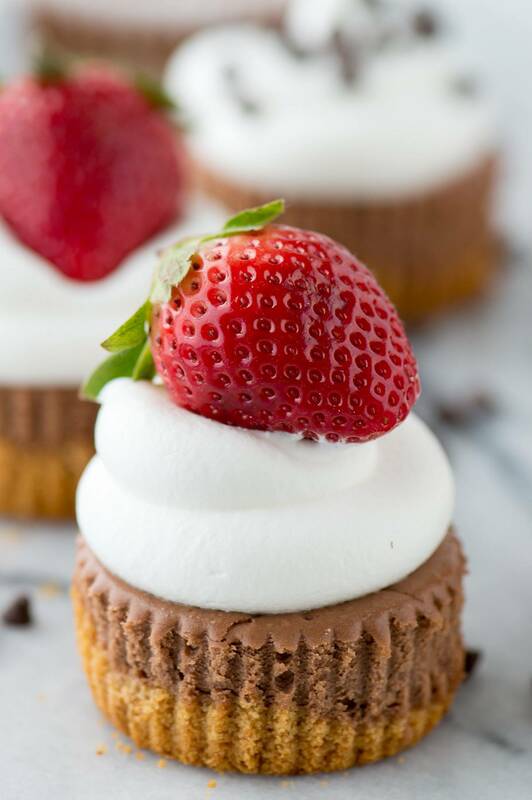 You can serve them without any additional toppings or you can add cool whip, strawberries, chocolate chips, chocolate ganache, strawberry puree, whatever you want! 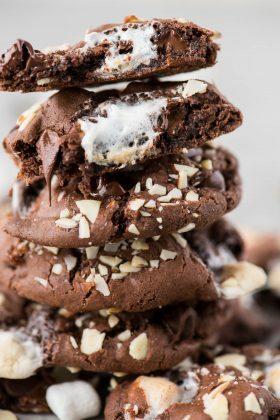 I’m making these for Christmas Eve……..thank you very much for sharing this recipe, looks great. 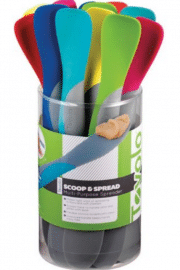 You can definitely store them in the fridge – wrapped and sealed for up to 2 days. 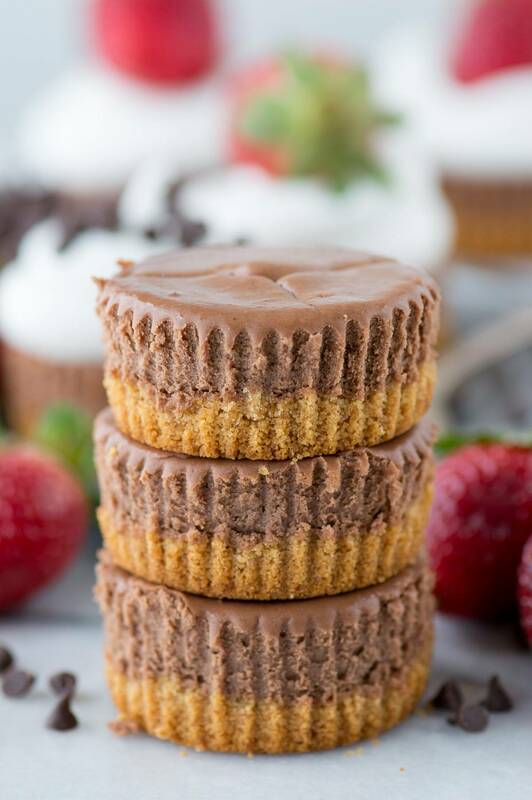 Pingback: The 12 Most Amazing Mini Chocolate Cheesecakes of All Time!